This month we are excited to be speaking to the lovely Jane Marland from Handmade Jane. I live with my husband and two teenage sons in West London. Before I had children I worked in publishing (which I loved) and marketing (which I hated), but became a stay-at-home mum once they were born. Even though they’re now older, I still fit my sewing around them as my younger son has autism, so it’s important for him to have the continuity of me being at home. 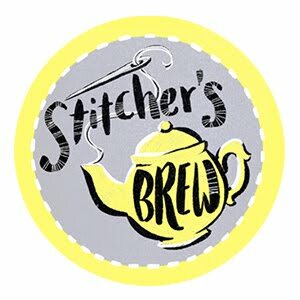 What inspired you to start your sewing/your blog? I was actually taught to sew at school, but the horrible Domestic Science (as it was then called!) teacher almost put me off for life. I’d planned to take a dressmaking course for years but didn’t take the plunge until my younger son started school in 2009. I’d had a very stressful year sorting out his special needs statement, so focusing on something creative was the best thing I could have done. 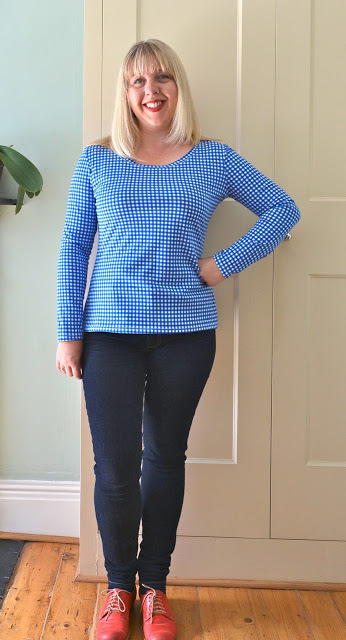 For two hours a week I learnt how to navigate a sewing pattern, cut out pattern pieces and sew them together – I absolutely loved it! I’d only initially planned to do one term but ended up staying for a year. During this time I also discovered and became completely addicted to sewing blogs. After a year I felt ready to start making my own clothes without the guidance of a teacher and that’s when I started my blog too. From quite an early stage in my sewing life I used to sell handmade items at craft fairs. 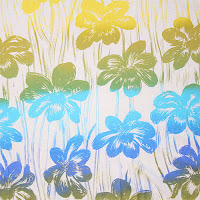 I used printed Handmade by Jane labels and initially that was going to be the name of my blog. However, when I set the blog up that name was already taken - oh no! So I shortened it to Handmade Jane. This was actually far more appropriate as the blog has evolved into being more about me and the things I sew for myself, rather than my handmade crafts. How long have you blogging, what are your goals for the future? 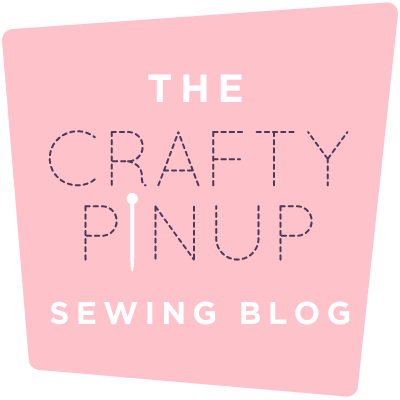 I started my blog in 2010 & I’ve been sewing and blogging regularly ever since. 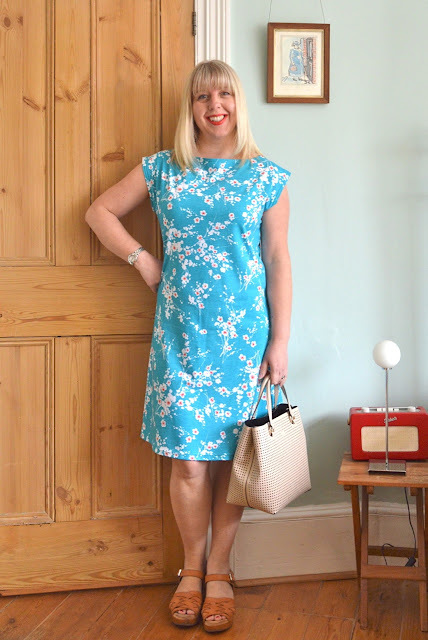 I’m now at the stage where I make most of my own clothes and my blog is a way of documenting that. 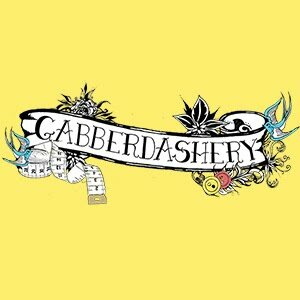 I really enjoy the process of writing posts and reviewing the garments I make, so having a blog is hugely important to me. Blogs may be losing their popularity but I’ll still continue to write mine, simply because I love reading them so much myself. I like the personal touch! I’ve contributed to a few magazines recently and taught dressmaking classes at a sewing café, both of which were great fun. I’ve also written a children’s book on sewing – Get Into: Sewing - which will be published on September 8th. It’s part of an educational series of craft books and although it was hard work putting it together I loved working on it. I can’t wait to see it in print! There’s an understated elegance to vintage styles of the 1950’s that really appeals to me. Clothes of that period always look so effortlessly chic and the fitted styles tend to suit my body shape. Consequently I have a soft spot for shirtdresses, halter necks, twinsets and fitted trousers. I also like polka dots, gingham, red and navy blue. I’d love to look like I’ve just stepped out of an Agatha Christie novel, but I can’t quite pull off a full vintage look! What I try to do instead is incorporate a few design details into my own sewing, not to create an entire vintage look, just a flavour. Sewing keeps me sane and makes me happy, which are two things high on my priority list! I’m lucky enough to have a converted loft/guest room that doubles as my sewing room. It’s lovely and quiet and a bit of an oasis away from all the testosterone in the house! I love pottering away up there, listening to the radio and sewing. 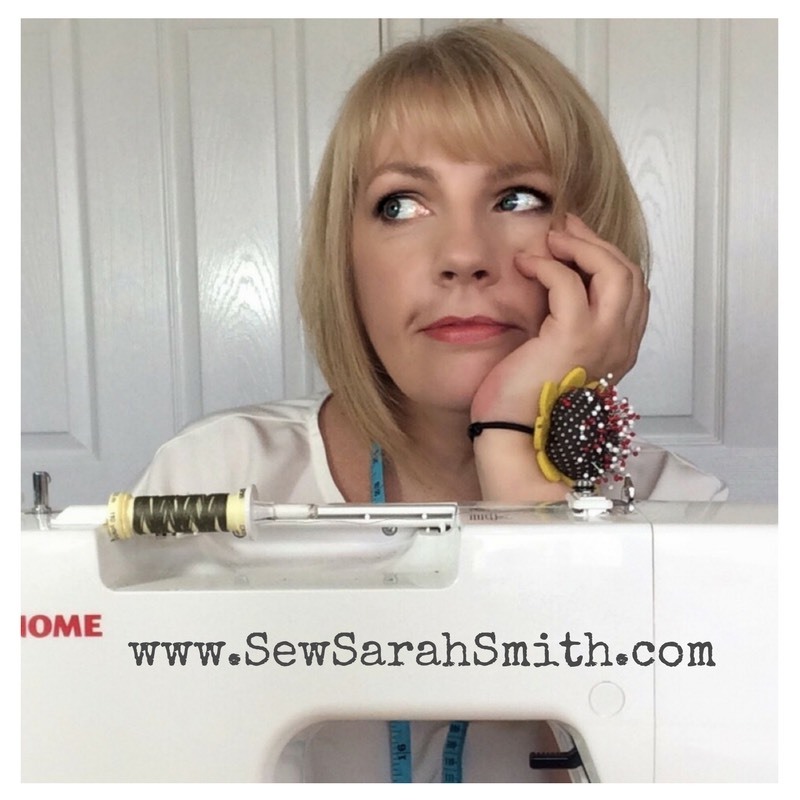 I’m very thankful that sewing has brought me in touch with the online sewing community. Sewing people are very inspiring and generous with their knowledge - I really have learnt so much. More importantly I’ve met some amazing people and forged a few lifelong friendships! The two sewing tasks I really can’t stand are inserting side zips (urrgh I hate them!) and sewing on hooks and eyes (probably down to my sausage fingers). I’ve taken a few pattern drafting courses but I still find it a bit of a challenge to draft things myself. I have all the ideas, I just don’t have the accuracy or minute attention to detail that’s required. I can tweak existing patterns to make them fit me, but I’ll leave the drafting and designing to others! I’m full of admiration for those who have decided to turn their love of sewing into a career. Thanks to Jane for her time, and of course her brilliant blog Handmade Jane, we can't wait to see your book! If you haven't visited Jane's blog, do it now - it's bright, fun, and full of inspiration! 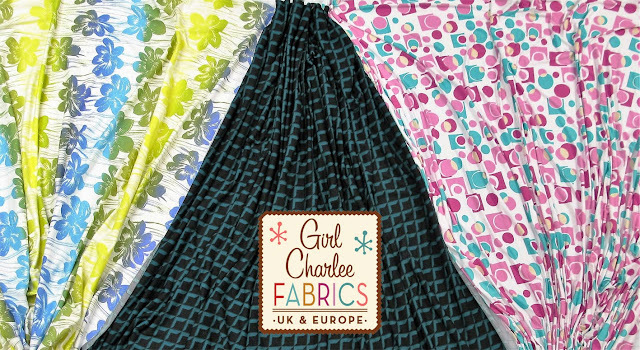 Today we have 2 new fabrics and a popular pattern from the past back in stock! 1. A beautiful tropical floral pattern from Fresh Produce, medium weight with only a little stretch, this cotton jersey knit would be perfect for some Itch to Stitch Angelia shorts. 2. A heavily discounted, slightly flawed (and really, you will be hard pushed to see anything major!) 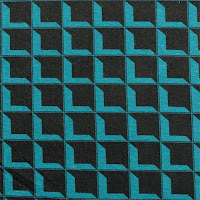 cotton jersey with teal blue prisms on black which is back in stock after proving very popular the first time round. It's great for tops or dresses like the Roza top & dress from Kate & Rose. 3. 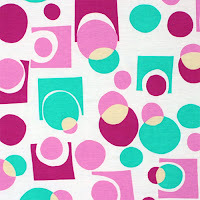 A new cotton spandex blend with a funky geometric pattern in pink, magenta, yellow and mint green. This would look stunning as an Evangeline midi dress by KZJO Studio. Click on your favourite below or visit our New Arrivals Page where you can see all our exciting new fabrics/patterns. Well the good news for everyone who entered our Handmade Fair ticket giveaway is that you are all winners! We had 10 entries and only 2 people put down a friend so we decided to throw in the extra 2 tickets and let everyone have at least one! 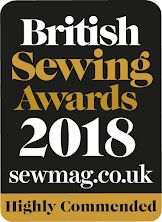 We will email all the winners to organise sending their tickets, just make sure you pop by our stand to say hello and check out our gorgeous fabrics, including some new lines not on the website yet! The Handmade Fair is at Hampton Court Palace from 16-18th September.